#1 dealer of floating Pool lounge chairs in America! Fabric Hammock Sling with Inflatable Covered Head and Foot Rest. Sets up in just seconds. 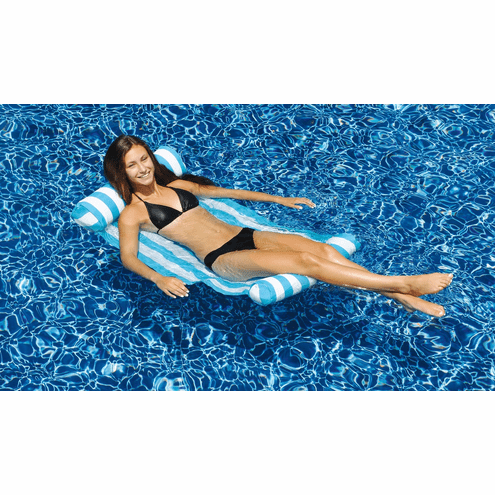 Very comfortable and cool for the swimming pool, lake or beach.